Method of extraction: Expeller Pressed/Partially Refined An all natural, and certified organic Soybean oil for inclusion within many of your products. High in natural source lecitihin, sterolins, and vitamin E, this oil makes a great base for your products which are being created for outer epidermal healing. 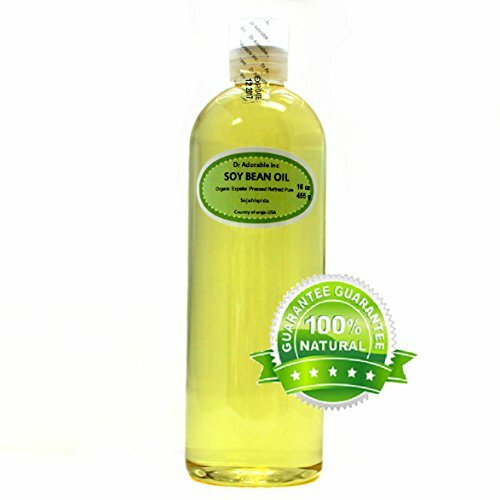 Pure Soybean Oil makes an ideal massage oil or carrier for skin care products. Soybean Oil allows the infusion of lipids (also known as oil like substances) to hydrate and protect skin cells. This helps it replenish the lipid barrier to help hold in the skins intrinsic moisture while helping soften dry, chaffed or damaged skin. 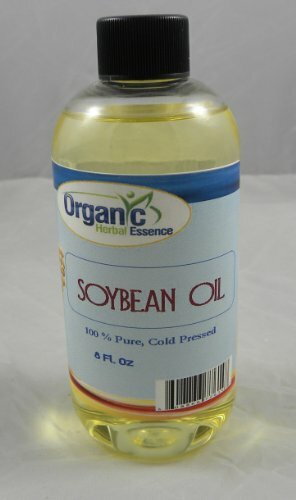 Soybean oil is easily absorbed and leaves a smooth sensation to the skin. An all natural, and certified organic Soybean oil for inclusion within many of your products. High in natural source lecitihin, sterolins, and vitamin E, this oil makes a great base for your products which are being created for outer epidermal healing. Soybean oil is easily absorbed and leaves a smooth sensation to the skin. 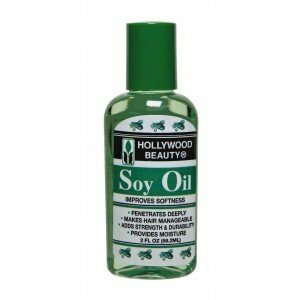 What it is: Soy Oil designed to improve softness. What it does: Created to help improve softness (including chemically treated hair). This formula will add instant moisture and will penetrate deep into the hair cuticle, leaving hair hydrated and more manageable. What else you need to know: Adds strength and durability while providing moisture. Botanical Name: Glycine Soja. Extraction Method: Cold Pressed. Processing Type: Refined. Obtained From: Seeds (Soy Beans). 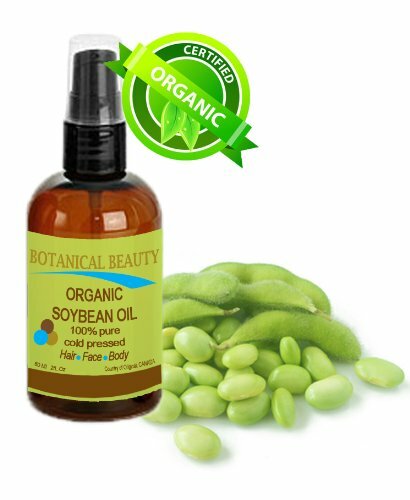 Description: Soya Bean Oil is extremely high in lecithin, sterolins, and vitamin E which makes it an effective moisturizing agent. Color: Pale yellow to yellow liquid. Aromatic Description: Typical and Characteristic of Carrier Oils. Common Uses: Soya Bean Oil is becoming increasingly popular with massage therapists because of its very light consistency, and is considered to be an excellent alternative to Almond Sweet. It is also commonly used in bath oil, skin care, hair care and soap making formulations. Consistency: Typical and Characteristic of Carrier Oils. 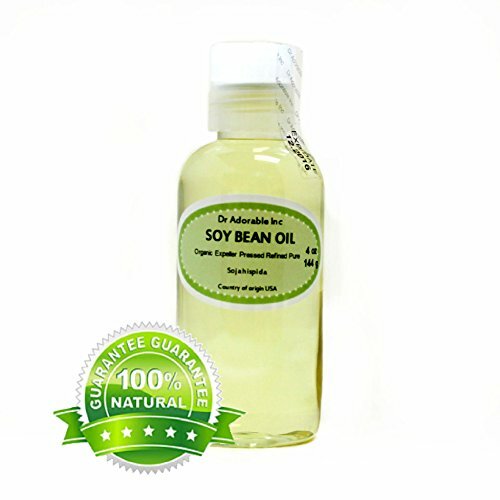 Absorption: Soya Bean Oil is readily absorbed by the skin. We are buying our oils from organic certified supplier, made from organic ingredients. Shelf Life: Users can expect a shelf life of 2 years with proper storage conditions (cool, out of direct sunlight). Refrigeration after opening is recommended. Your item(s) will be shipped the same business day or next business day of confirmation of payment if received by 3:00 pm PST. (not including weekends or holidays). When you receive your item and are pleased with our transaction, please let us know by leaving positive feedback, we will do the same for you in return. 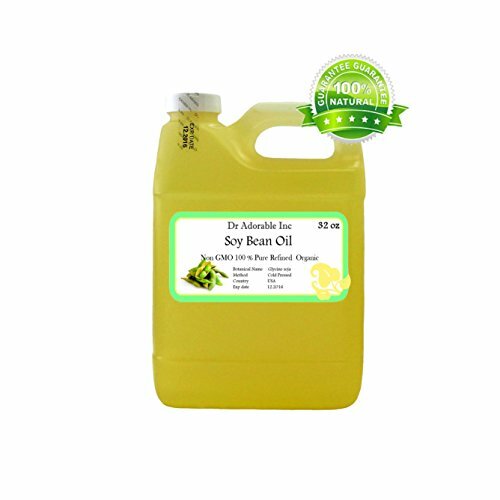 Look forward to do business with you, H&B OILS CENTER Co.
Soy Bean Oil is extremely high in lecithin, sterolins, and vitamin E which makes it an effective moisturizing agent. A vitamin-rich emollient that absorbs well into the skin. Has a nourishing, softening and moisturizing effect on skin, hair and nails. It replenishes skin lipids and restores suppleness and flexibility. It is an excellent emollient, and if used in dilution with other carrier oils, is a popular massage and aromatherapy carrier oil. Botanical Name: Glycine Soja. Extraction Method: Cold Pressed. Processing Type: Refined. Obtained From: Seeds (Soya Beans). 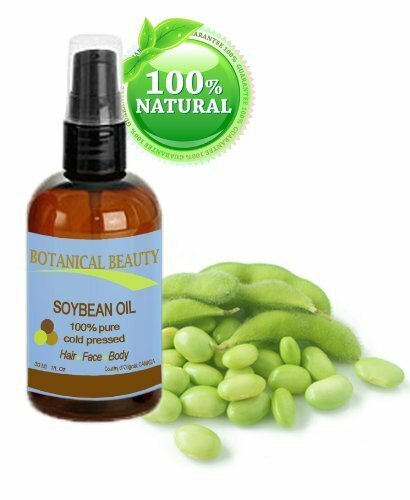 Description: Soya Bean Oil is extremely high in lecithin, sterolins, and vitamin E which makes it an effective moisturizing agent. Color: Pale yellow to yellow liquid. Aromatic Description: Typical and Characteristic of Carrier Oils. Common Uses: Soya Bean Oil is becoming increasingly popular with massage therapists because of its very light consistency, and is considered to be an excellent alternative to Almond Sweet. It is also commonly used in bath oil, skin care, hair care and soap making formulations. Consistency: Typical and Characteristic of Carrier Oils. Absorption: Soya Bean Oil is readily absorbed by the skin. We are buying our oils from organic certified supplier, made from organic ingredients. Shelf Life: Users can expect a shelf life of 2 years with proper storage conditions (cool, out of direct sunlight). Refrigeration after opening is recommended. Your item(s) will be shipped the same business day or next business day of confirmation of payment if received by 3:00 pm PST. (not including weekends or holidays). When you receive your item and are pleased with our transaction, please let us know by leaving positive feedback, we will do the same for you in return. Look forward to do business with you, H&B OILS CENTER Co.